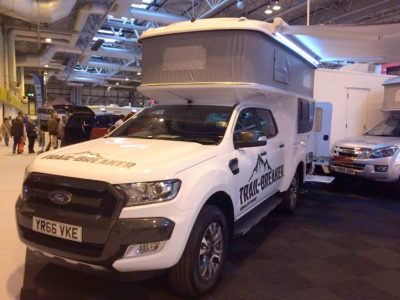 Motorhome and Caravan Show proves to be a prizewinning success! The NEC Motorhome and Caravan Show 2016 was a huge success with lots of new caravan and motorhome models launched and a bumper turnout. 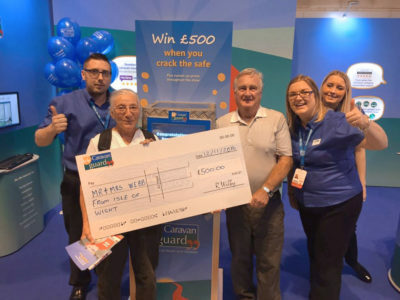 Our show stand was constantly buzzing with customers new and old and we had not one, but TWO, winners in our Crack the Safe competition – plus lots of runner-up prizewinners! Mr and Mrs Webb from the Isle of Wight were the first to crack the code on the safe and planned to spend their £500 prize money on a new Sat Nav, or put it towards a deposit for a motorhome. 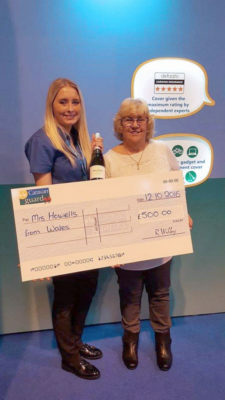 A few hours later, on day two of the show, Mrs Lydia Howells from Wales entered her lucky numbers and also won £500, which she said she was going to spend on a holiday. Manufacturers wooed the crowds with the launch of new models. 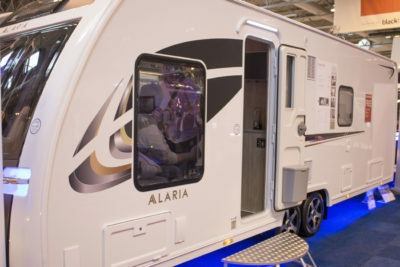 The small and compact Swift Basecamp aims to appeal to the younger, sporty market and at the opposite end of the scale, there was the luxurious Lunar Alaria “glamavan”. 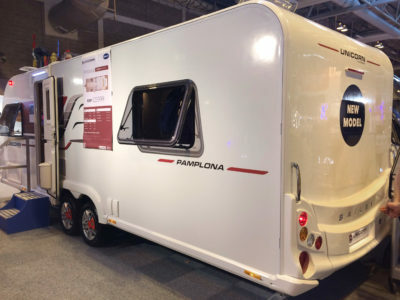 Bailey also announced two new models to their Unicorn range for the 2017 season – with the Cabrera and the twin-axle Pamplona both making their debut at the show – each featuring a central washroom and island bed. Their down-under style Bailey Australia Rangefinder caravan certainly made heads turn and was a constant hive of activity! 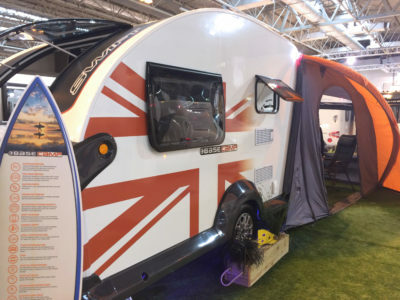 Elddis had their new 8ft wide tourers on display and their new blue Compass Camino 660 – which has also scooped Practical Caravan’s Tourer of the Year for 2017. 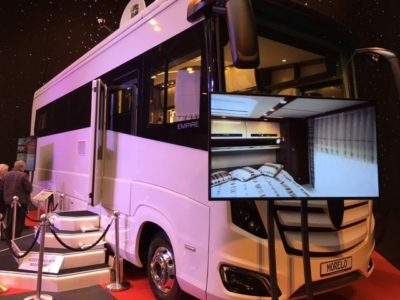 Another highlight was the showcase of the luxurious Morelo Empire liner motorhome, with its hefty £380,000 pricetag! You’d be sure to feel like a superstar in this 35ft long motorhome, with its stunning interior, underfloor heating and modern kitchen. There were some new campervans on display too, which got lots of people talking. 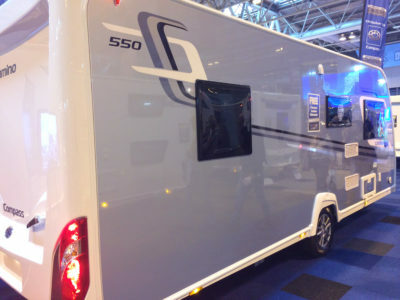 We took a look at the Ssang Yong Turismo Tourist Camper, based on their Turismo MPV. It’s got everything including the kitchen sink! The two-berth motorhome features an elevating roof, rear tailgate awning, fridge, toilet, and a slide out hob, so you can use it indoors or outdoors! 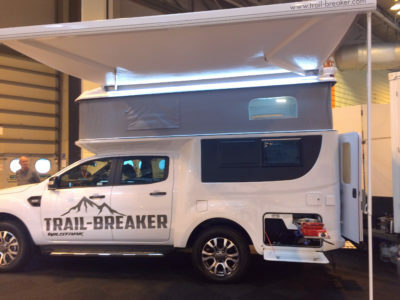 Then there was the funky Trail-Breaker 4×4 campervan, available in three models on an Isuzu or Ford chassis. The cab is completely separate to the living space and it comes complete with automatic lift-up roof, a roll out-side awning, solar panel and external cooking facilities. In this compact space they’ve packed in a fridge, shower, toilet, swivel TV, and dining area, which also converts into a double bed, plus a large over-cab sleeping area. 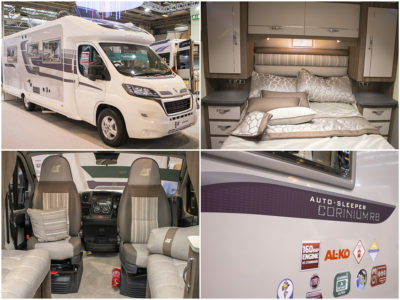 Auto-Sleepers also had their new Corinium RB motorhome on show, with its rear island bed and bags of luxury. Coachman, once again scooped the best large family caravan in the Caravan Club Design Awards for their Coachman Vision 630, with the Elddis Capiro 554 winning the small family caravan. 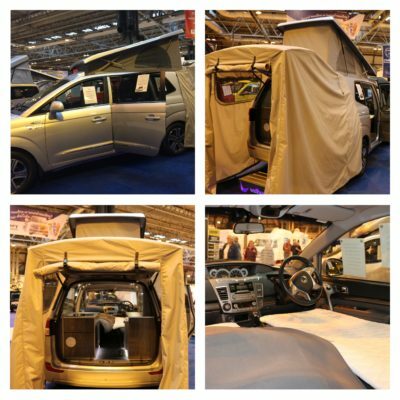 We’ll be back at the NEC in February for another bumper show and be sure to read some of the latest model reviews on our blog.